Ray Charles received an Honorary Doctorate of Fine Arts from the University of South Florida in Tampa. At his own instigation, he returned to USF in February 1991, for a benefit performance at the Sun Dome with the USF Community Gospel Choir, marking the first time he has ever performed an entire program solely with amateur musicians. Proceeds from the concert were divided between the college of Fine Arts Music Scholarships Fund and Charles’ own Robinson Foundation. Ray Charles’ GRAMMY Hall of Fame “I’ve Got A Woman,” recorded in 1954, as well as his 45th Anniversary of being in show business. 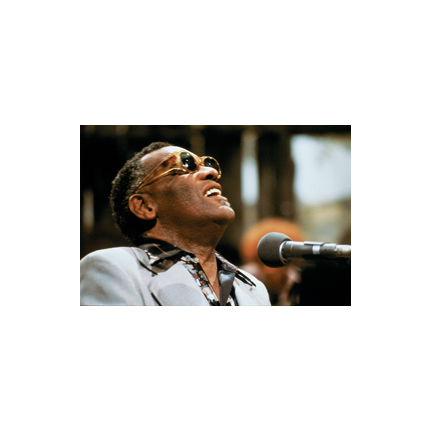 Since his major recording hit, “I Got A Woman” it is generally conceded in the music world that Ray Charles has left an indelible mark on virtually every facet of popular music, be it R&B, Country & Western, Rock & Roll, Jazz, Gospel or Soul. Ray Charles appeared on Listen Up: The Lives of Quincy Jones documentary as himself. 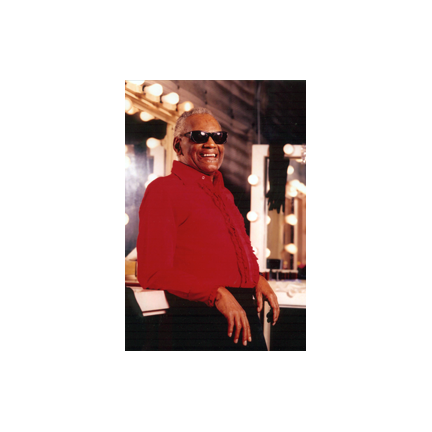 Ray Charles received the GRAMMY Award for “I’ll Be Good To You” performed with Chaka Kahn on the Back on the Block album on Quincy Jones’ Warner Bros. label. Advertising Age named Ray Charles as its Star Presenter. 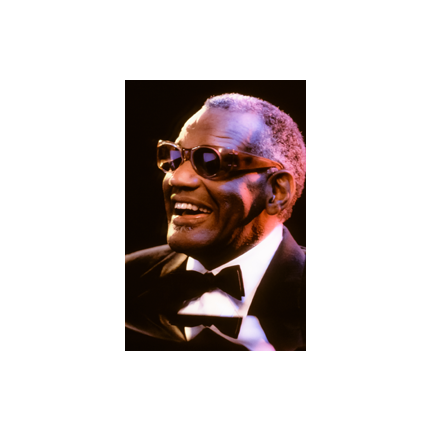 He was recognized with a 1990 Clio Award as “Best Male Performer.” Time Magazine named Ray Charles’ “You Got the Right One Baby, Uh-Huh!” commercials the 1991 Campaign of the Year. 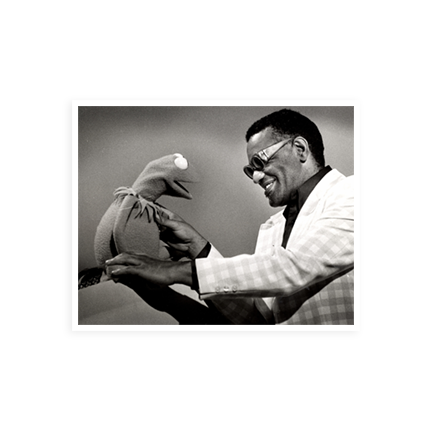 Following Jim Henson’s death, Ray Charles appeared in the one-hour CBS tribute, The Muppets Celebrate Jim Henson. He gave a speech about the deceased, stating that Henson “took a simple song and a piece of felt and turned it into a moment of great power.” Charles was referring to the song “It’s Not Easy Being Green,” which Charles later performed with the rest of the Muppet cast in a tribute to Henson’s legacy. An excellent documentary, Ray Charles: The Genius of Soul, was produced for the American Masters series on public television. Ray Charles has received numerous awards from African-American Studies groups at campuses across the U.S., including the University of California at Los Angeles. Ray Charles’ series of commercials for Diet Pepsi, which debuted in 1990, continue to bring praise for both Ray Charles as a pitchman and for the creativity of the campaign. The first in a series of Diet Pepsi commercials was acclaimed “The best commercial in the world.” Ray Charles was the first recording artist to be used in advertisements by both Coca-Cola and Pepsi-Cola as he did in 1966 and 1990. Joan Crawford accomplished this as a motion picture star. 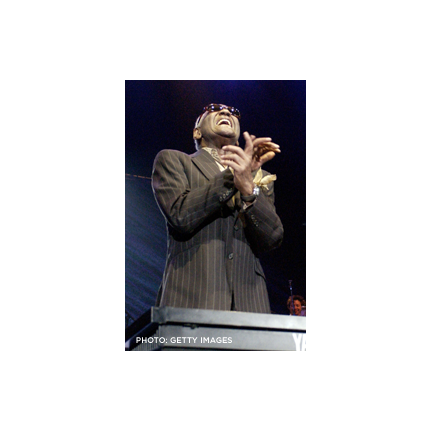 50 Years of Music Making: A Tribute to Ray Charles featuring Michael Bolton, Willie Nelson, and Stevie Wonder among others, with MC Hammer as Master of Ceremonies, was taped by Willenborg Productions. Gregory Willenborg acted as co executive producer for the Fox Television Network special. Ray Charles remains the first and only commercial spokesperson to have an ad campaign featured in two consecutive Super Bowls as he did with Diet Pepsi’s “You’ve Got The Right One, Baby …Uh-Huh!” campaign in 1991 and 1992. Ray Charles was honored by the Los Angeles County Board of Supervisors as the 1992 Black History Month Honoree, and was presented with the County’s Distinguished Service Medal in recognition of his outstanding contributions. Ray Charles was inducted into the Florida Artists Hall of Fame (joining Hemingway, Tennessee Williams, and John D. MacDonald, among others). Charles, born in Georgia, was raised in Florida where he attended The School for the Blind, Deaf and Dumb and began his career as a professional musician. Ray Charles received a GRAMMY for Best R&B Vocal Performance, Male for “A Song For You” Single. Ray Charles joined other invited celebrity performers in the pre-inaugural concert at the Lincoln Memorial honoring President Bill Clinton. Produced by Quincy Jones, the concert aired as an HBO special. Marks the year that Ray Charles’ rendition of “Georgia on My Mind,” record in 1960, was inducted into the GRAMMY Hall Of Fame. Ray Charles received the National Medal of Arts presented by President Bill Clinton in Washington D.C.
On an MTV showing of A Town Hall Meeting, President Clinton was asked to name his favorite song, to which he replied, “Ray Charles’ version of “A Song for You” which won Charles his 8th GRAMMY. Ray Charles received a Lifetime Achievement Award as part of the Black Achievement Award TV show sponsored by Johnson Publishing Company. Ray Charles received the World Music Award in Monte Carlo for his lifelong contribution to the music industry. 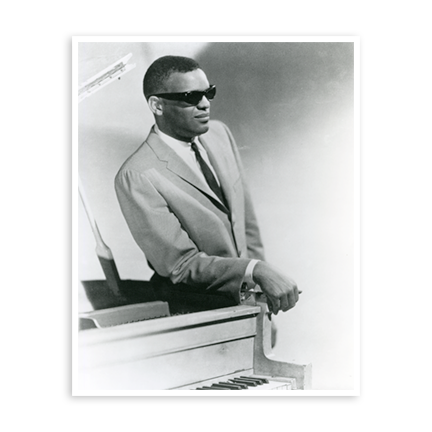 Ray Charles received the Helen Keller Personal Achievement Award from the American Foundation for the Blind. Ray Charles appeared in Love Affair movie as himself. 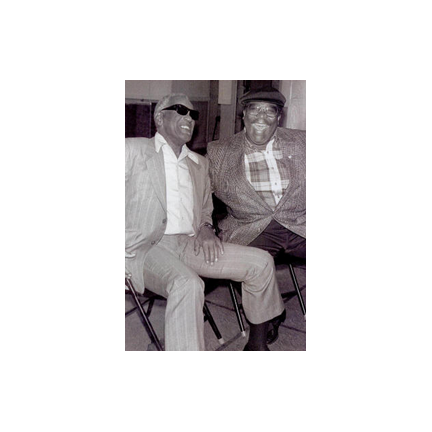 Marked Ray Charles’ 50th show business anniversary and 1994 marked the 35th anniversary of Ray Charles’ association with Joe Adams, who had been his personal manager since 1959 and close friend and advisor since 1957. Ray Charles is given the Governor’s Performing Arts Award. Ray Charles is honored with the Horatio Alger Award given to distinguished American citizens who have succeeded despite adversity. Ray Charles was honored with the award for Best Singer by Sherman R. Frederick, Publisher of the Las Vegas Revue Journal. Ray Charles appeared in the movie Spy Hard as a bus driver. 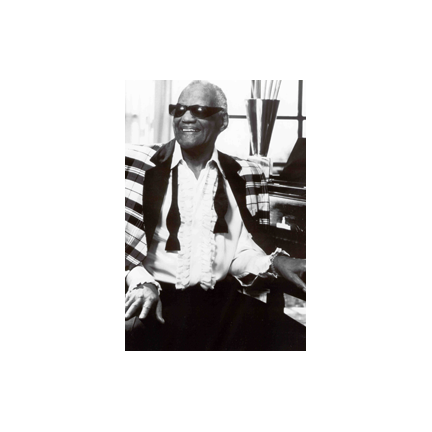 Ray Charles named “A Treasure of Los Angeles” by the Central City Association. Among the others honored were artist Ernie Barnes, Jaime Escalante, Ernest Fleischman, U.S.C. coach John Robinson, and Chef Joachim Splichal. Strong Love Affair was released on Qwest Records. Ray Charles was awarded an Honorary Doctorate of Music at Occidental College, in Los Angeles. Ray Charles was inducted into the International Jazz Hall of Fame presented by Norman Brander & Eddie Baker. Ray Charles was honored by receiving the Polar Music Award, Sweden’s most prestigious award, presented by the King and Queen. 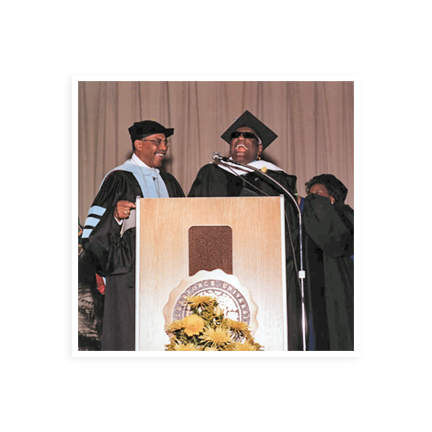 Ray Charles was awarded an Honorary Doctorate of Humane Letters from Wilberforce University. 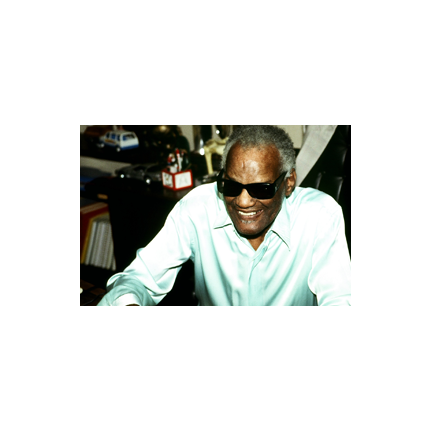 Ray Charles appeared in 4 episodes of the sitcom The Nanny as Sammy. Ray Charles received the Legendary Music Achievement Award. Ray Charles received a GRAMMY for Best Historical Album Ray Charles: The Complete Country & Western Recordings (1959-1986).